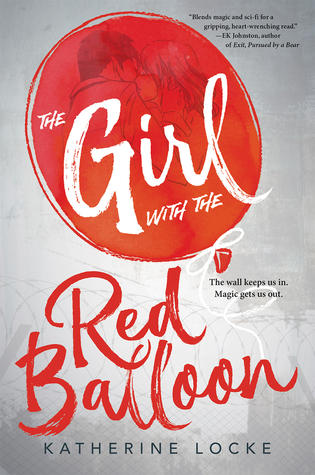 The Girl with the Red Balloon by Katherine Locke (eProof) - When sixteen-year-old Ellie Baum accidentally time-travels via red balloon to 1988 East Berlin, she’s caught up in a conspiracy of history and magic. She meets members of an underground guild in East Berlin who use balloons and magic to help people escape over the Wall—but even to the balloon makers, Ellie’s time travel is a mystery. When it becomes clear that someone is using dark magic to change history, Ellie must risk everything—including her only way home—to stop the process. From Goodreads. The Girl with the Red Balloon by Katherine Locke is a book I have been anticipating for a while, long before it had a cover. Time travel? Magic balloons that save people? German history? Sign me up! However, I finished the book feeling pretty disappointed. First, the positives. I loved how The Girl with the Red Balloon was grounded in history - in two different time periods. Once Ellie has been whisked back to 1988 East Berlin by grabbing the string of a red balloon, the book is predominantly set there - a time when there was a Wall dividing East Germany from West Germany, a time of oppression and practically imprisonment. It was shocking and disturbing to see how the people of East Berlin were treated by the volkspolizei (the police) and the stasi (State Security). People who tried to escape into West Berlin any number of ways were killed if caught. There was no freedom, and the people lived in a state of fear. It's so hard to believe that this was less than 30 years ago. I was born before the Wall came down - this oppression and the freedom that fallowed in 1989 was taking place while I was a baby. It's just difficult to grasp that this happened in my lifetime; reading about it, it was so oppressive it felt like it belonged to another time, not my time. And I feel terrible that I know almost nothing about it. What I know about the East Berlin Wall I've learnt from this book. And the fear, the constant feeling of being watched, the danger that the characters could never really escape simply by living in East Berlin was palpable. The second time period is 1941 - 1942, where we follow Benno, a Jewish German teenager who, along with his family, is sent to Łódź Ghetto in Poland, during the Holocaust. There, they have to work to manufatcure supplies needed for the Nazi army. They were kicked out of Germany by the Nazis, and were now forced to work for the Nazis. Reading about the Ghetto was so upsetting. It was so overcrowded, many people were ill and there was no medication, they had to work long hours, and they were fed a thin soup once a day, with a loaf of bread to last them a week. There was so much death - whether people died from illnesses, starvation, or were killed - and so much misery. It was horrific. It was incredibly hard to read Benno's chapters, even though they were fairly short, and few in number compared to the others. It was the history, the two different time periods, that I loved about this book. But the story itself was such a let down to me. The chapters set in 1988 East Berlin are dual narrated by Ellie, the time traveller, and Kai, a Romanichal who is working for the Schopfers - the balloon makers, those who use magic to create balloons to help people get over the Wall - as a Runner, those who help the Passengers get their balloon and get over. 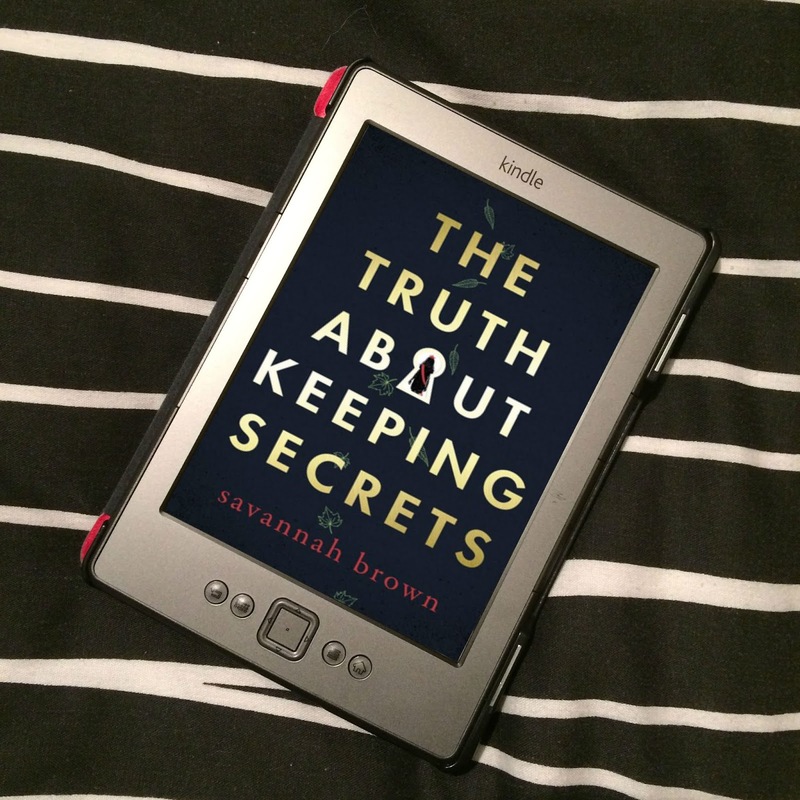 Kai bumps into Ellie upon her arrival, and tries to help her, along with the Schopfers, try to work out how to get her back home, and why she came in the went back in time in the first place. I can tell you very little about either character, it's all about what's happening now. For Kai, I kind of understood; he lives a dangerous life, and is doing it to keep his little sister, Sabina, who has magic, safe from those who want to use her. He doesn't really have much time for the things he enjoys, and even if he did, he lives in East Berlin, where you do all you can not to draw attention to yourself. Ellie, on the other hand, a girl from our time, I would have expected to know more about than that she doesn't like clubbing. I can tell you that she's Jewish (as is Locke, making this book #OwnVoices), that she hates that practising her faith in East Berlin is illegal, and how she has to do so in secret, that her grandfather is a German Jew who who was around during WWII, and who hates everything about Germany... but I can't tell you anything much about her as a person. What she likes, what she doesn't like. Nothing. Because of this, not really getting to know Ellie or Kai, I didn't feel any connection to them, so I didn't really care about them. As I said, it was terrible to watch them live in the world they lived in, and that bothered me, but I didn't really care about them as people. There is also a romance between the two of them, but how that came about, I really don't see. Suddenly they were attracted to each other out of nowhere, it seemed. And granted, they spent more time together than we actually get to see, but with both having pretty much no personality, I just couldn't see it. So I didn't believe it. It just really didn't work for me. Then there's the fantasy side to the story. I have so many questions, and no answers. So people who have magic can create magic by writing. How do they have magic? How do they know they have magic? Without writing, how does the magic manifest? And how does writing mathematical equations work? Because that's it, writing complicated mathematical equations makes something magic - like balloons. But how? Why? What are the mechanics of this magic? And why balloons? Seriously, no-one ever asks or discusses why balloons are used. Why not shoes or hats or whatever else? Why balloons? Using blood from the Passengers to write the equations onto the balloons means the balloon will only work for that Passenger. Ok, fine - but why? What if you don't use their blood? What does using their blood actually do to the magic? None of these questions are answered! We're just told that some people are magic, and those magic people can create magic balloons, and those magic balloons can help people escape oppression. That is it. We're just expected to accept it and carry on. How am I supposed to believe in what is happening, believe it is possible, if I am not told how or why? And if not knowing the characters and not understanding how the magic works isn't bad enough, nothing happens for such a long time. 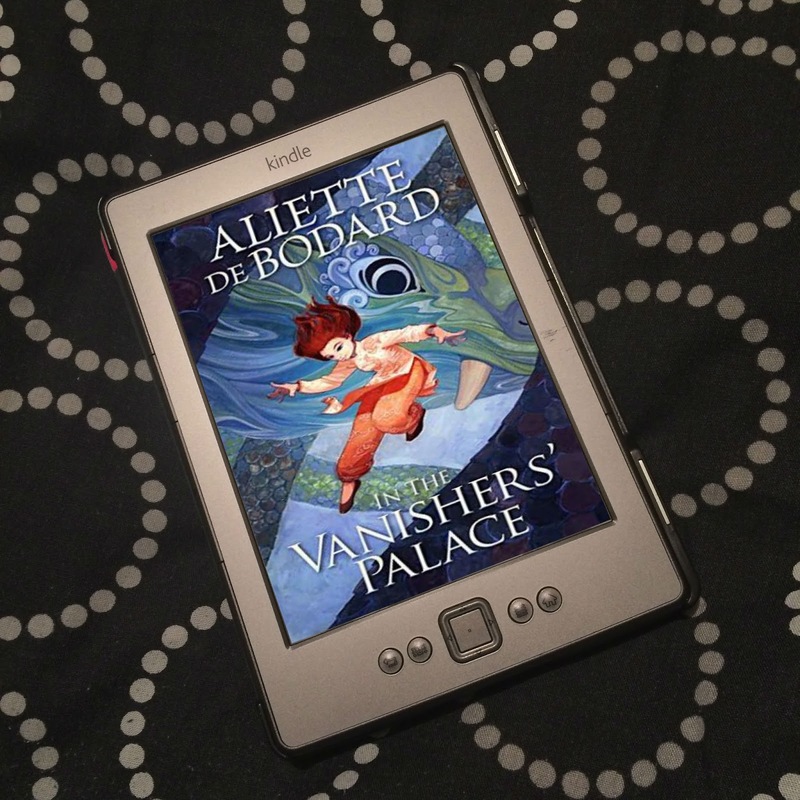 Ellie is put in a safe house, and she has to wait until the magic can be worked out to take her back. She has to wait for forged papers before she can leave the house. And when she does, she goes to a rooftop, or a park or occasionally the Schopfers workshop, but nothing is actually happening during this time. Except for that one other time traveller turns up, but he's dead. Which leaves everyone with questions, understandably, and some dread, because more illegal magic, and someone in their midst who is up to no good. But then more nothing. As I said, I really loved the history we're told about, but when most of the book is set inside a safe house, we don't get to see as much of how oppressive things are as you would expect. And then things do start happening, and they happen rather quickly, and things become quite predictable. And once the climax is over, it goes back to nothing. Oh, decisions need to be made, and they will be, and then they are, but they're not acted on for ages, and it's just more nothing until something is worked out, and then it's over. I just didn't like this book. All the emotion I felt came from the history of the book, but that doesn't save the story. 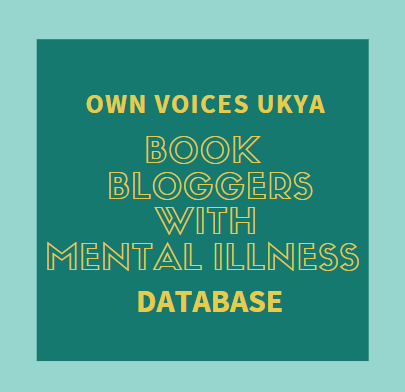 A story with characters I didn't get to know, a romance I didn't feel, magic that wasn't explained, and a plot where nothing happens for far too long. And I feel so disappointed because this book sounded so good and I was so looking forward to reading it! And it's turned out to be such a let down. However, there are people who loved this book, so do read some other reviews before deciding whether or not you will read The Girl with the Red Balloon. Thank you to Albert Whitman via NetGalley for the eProof.